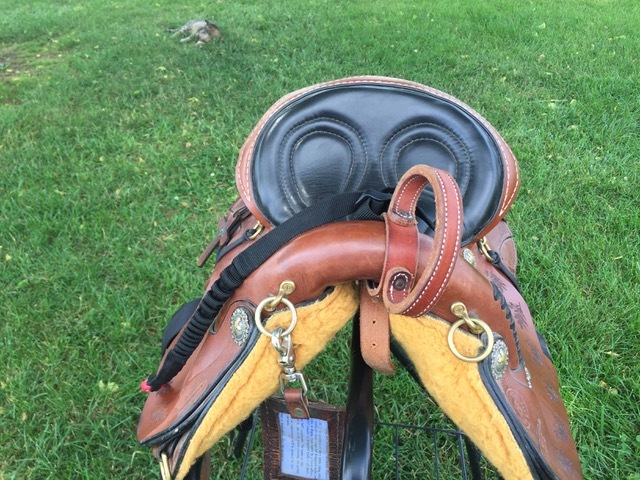 Our leather night latches are made by our local Amish saddle maker. This night latch is designed to be buckled around the pommel of the saddle, and function both as an emergency grab strap and a way to attach the Hit-Air coiled wire (also known as a tether or lanyard). This coiled wire, that comes with each Hit-Air vest, can remain attached to your saddle so that when you can easily attach the vest while in the saddle.